With New Year’s Eve coming right up I offer you this special treat that are elegant, rich and scrumptious. 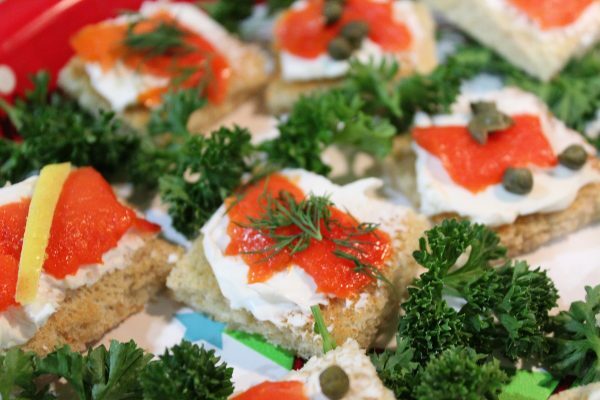 And that perfectly describes these Smoked Salmon canapes garnished 3 different ways. In addition they are quick, easy and actually rather economical too. 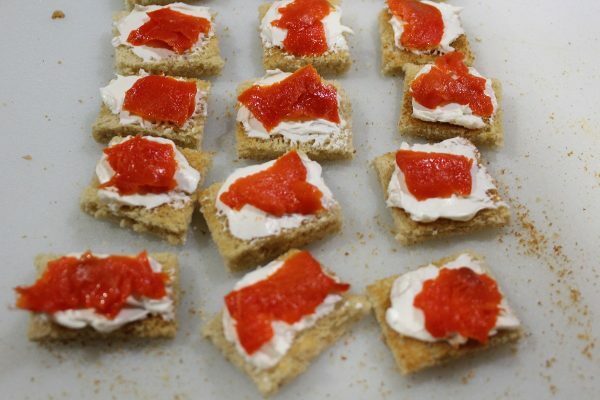 A 3 oz package of even the most expensive Smoked Salmon will easily make 40-45 canapes. I use a brand that cost about $8.00 and they were delicious! 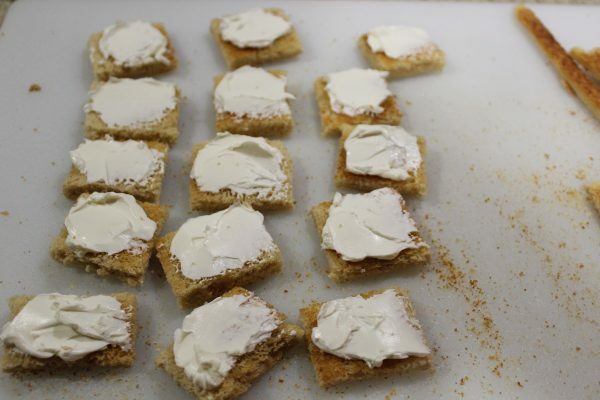 The canapes were my contribution for a dinner party last month and every single one of them was devoured. 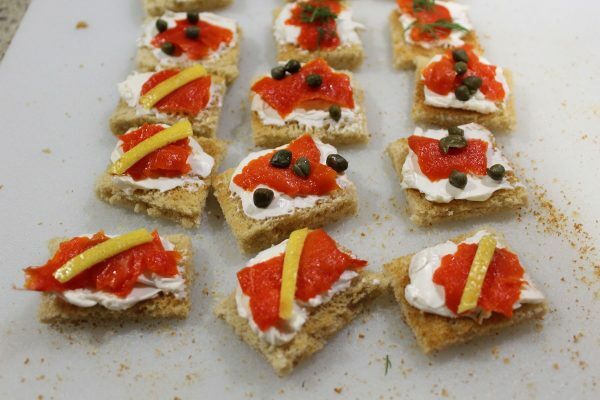 I opted to garnish the canapes using either a thin strip of Lemon, or a tiny sprig of Dill or 3 little Capers which proved to be just the right number. Sparky’s favorite were the ones made with Capers but I quote, ” I had no trouble eating all 3 types.” So there you have it! Let’s get this New Year’s Party going! This is what we’ll need. 6 Ingredients! How much easier can this be? 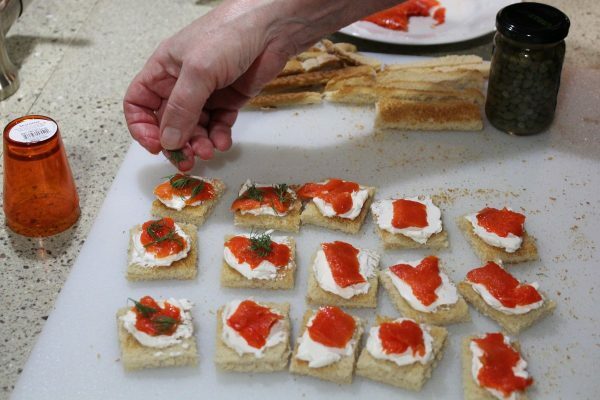 Unctuous, slightly salty,rich with Cream Cheese, these Salmon Canapes will be a hit on New Year's Eve or any other occasion for that matter. 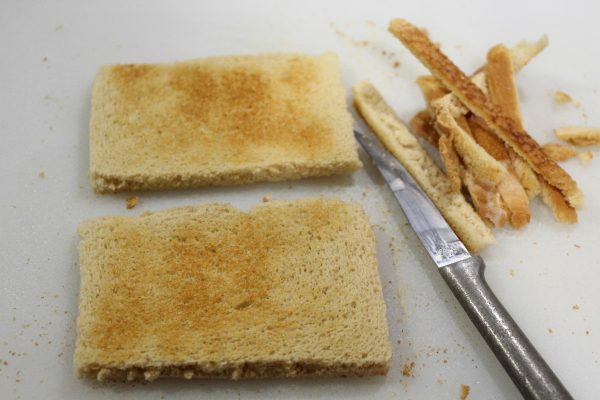 Small, small pieces of Smoked Salmon on these 2 bite toasts are perfect for parties. 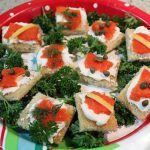 Garnished 3 ways and serve them on a holiday platter gussied up with Parsley. Winner! 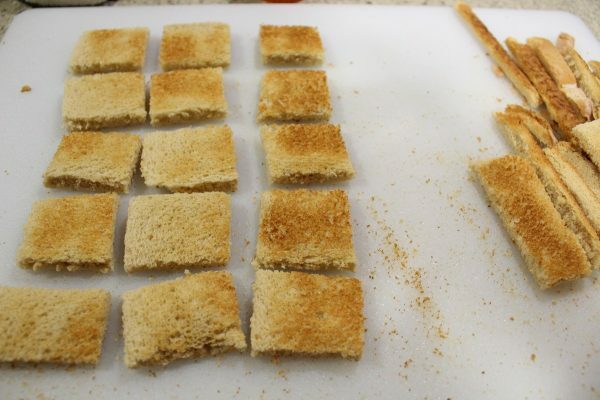 Cut each slice of Bread into quarters. I was going to use a cookie cutter to cut them into circles but I did not have one. I tried to substitute a cheap plastic shot glass and that didn't work. However, no one complained! 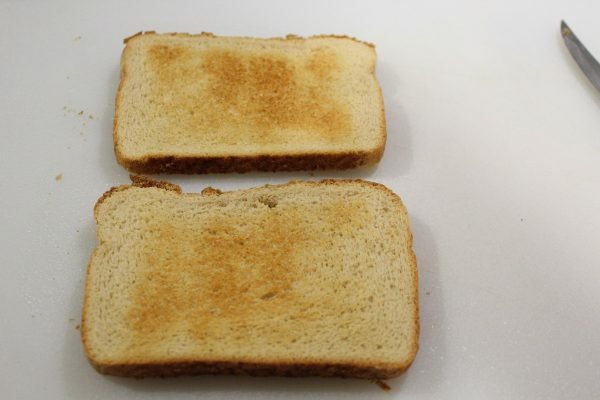 Spread each toast quarter with slightly less than a teaspoon of Cream Cheese. 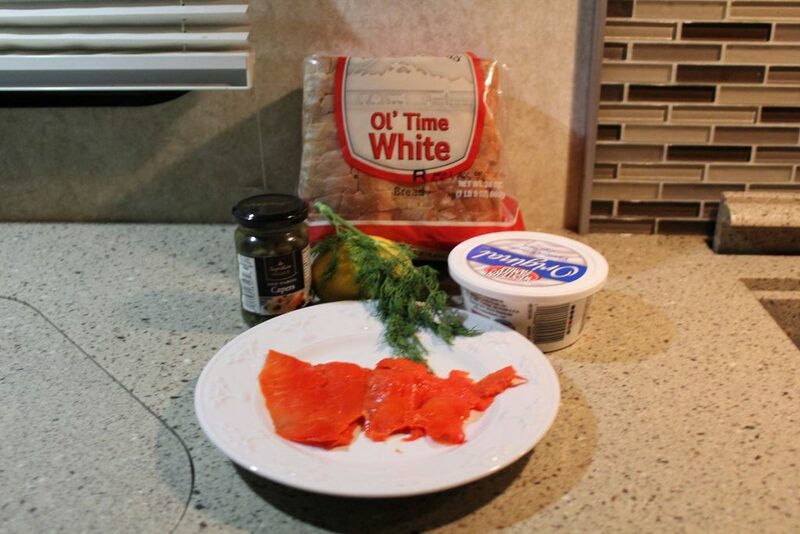 Separate the Smoked Salmon into small pieces and place over the Cream Cheese. Don't overdue the Salmon. Small pieces are best as it is very rich. Zest thin slivers of Lemon Peel. Pick off small Sprigs of Dill and place a spoonful of Capers in a small dish to start garnishing. 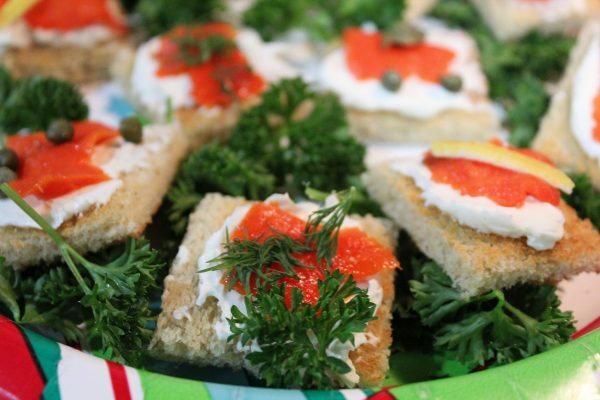 Place the Smoked Salmon canapes on a plate and garnish with Parsley Sprigs. That's it. You're done! Now go change your clothes and head out to that party! Happy New Year everyone! Sparky and I want to wish you all a wonderful 2018 and hope you will always have enough. Enough love. Enough food to nourish you. Enough friends to share. Enough happiness to help you through any rough patches. But most of all we wish you more than enough good health!